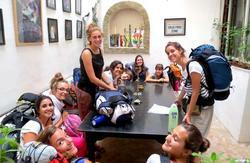 Essaouira Youth Hostel & Social Travel will be one of the most welcoming hostels you will ever stay in! Welcome to 'Hotel California' you can check in any time, but you will never want to leave! Designed in traditional Riad style, this is more than your average backpackers spot ! Guests can visit the bar where you can find all you need ; beers, whisky and of course the homemade Mojitos, the bar is open 24H. So, if you are cool, young or young at heart and you like to party, this is your place ! Essaouira hostel is the place where you can meet a lot of travellers, be communal, hang out, play music, check emails, read some books and be in the hub of the medina. Essaouira Hostel will make you feel instantly relaxed and at home; the rooms are cleaned regularly and there are showers and toilets on every floor. There is also another lounge area on the terrace and high terrace; complete with sun beds for soaking up the Essaouira rays. It is an ideal spot for a long afternoon lunch around the huge table with kitchen facilities or an evening bbq while watching the sun go down over the rooftops. The view from the high terrace is magnificent and reaches far over the town. You can also enjoy the services available; BBQ's can be organized for you and your friends, delicious food made to order for you or even a party, surf trips, kite surf lessons, shopping trips, quad hire, fishing trips, horse and camel riding; you name it, we will help you do it! Our staff are flexible and happy to help you. 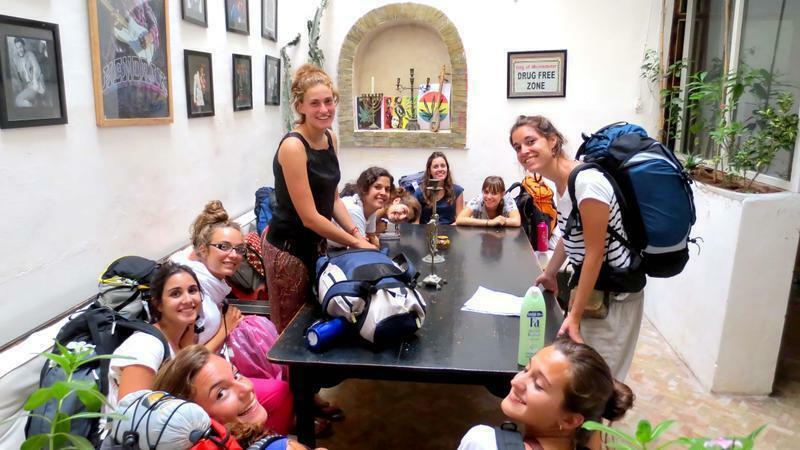 Essaouira Hostel is a laid back place to chill out and meet friends in a beautifu, unusuall building located in the heart of Essaouira's Medina; there are no silly rules or curfews. It is much more like staying in a friend's house. The owner and manager are local and always ready to have a good time! This is a place to kick back and feel at home; it has a young vibe and whatever the majority of guests are up for, from watching DVDs, cooking up a BBQ to partying through the night; this is what goes on! If you are up for a good time and are a chilled out individual; this place is for you. However, if you are looking for a very quiet 'early night' type place or stricter rules and regulations; then this perhaps is not your bag! Because of the young atmosphere, unfortunately we do not accept families with young children. ***Check-in at any time. Free luggage storage is available for those arriving earlier. 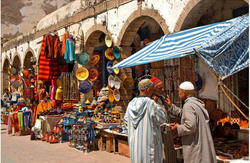 If arriving from BAB DOUKALLA entrance to the medina ; walk straight down the main street Avenue Zerktouni. Turn LEFT into Rue de Bagdad Number 13. Walk straight down until the end and turn RIGHT onto Rue Zair. Walk down until you see a the hostel sign on your left; turn LEFT into Rue Laghrissi .The hostel is then on a small cul de sac approx 15m down on the left. The hostel is at the end on the right. if you have a difficulty finding the hostel please give us a call on; 0524476481 one of our team will be happy to show you the way to the hostel.